It’s the end of the year, so the boys get together and discuss the best games they have played in 2017. 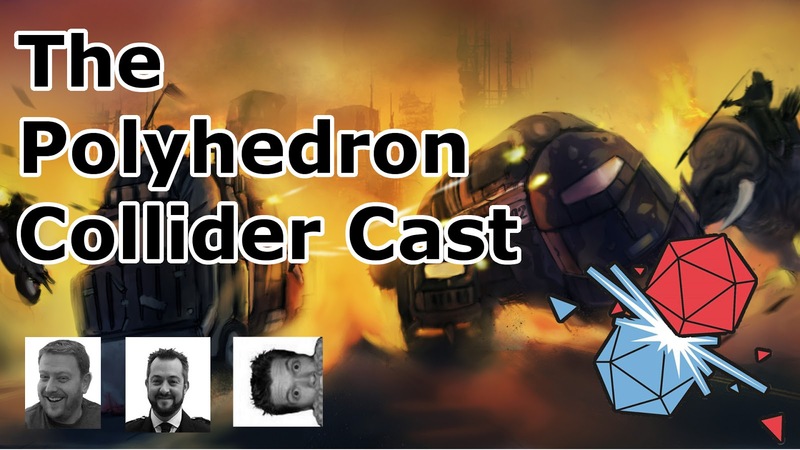 Things kick off with the ‘3 for 3’ awards, where the Polyhedron Collider crew discuss the games all three members have purchased in 2017. We then look back on 2017 with a little help from our listeners. Finally, we all pick the three games that we have enjoyed the most in the past twelve months and our honourable mentions, and not all of them are brand spanking new. 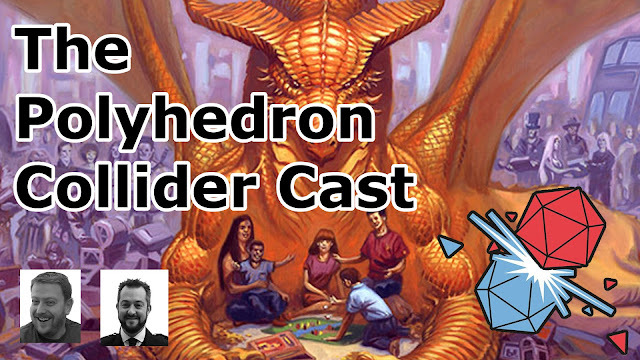 The boys discuss Kickstarter and the effect it’s had on tabletop games. 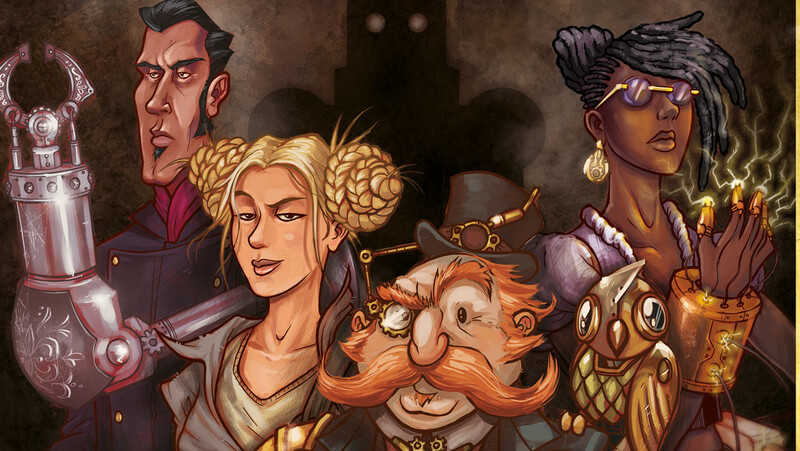 We discuss the best board games we’ve backed, the ones that have been lacklustre and those we regret not backing. Via questions from our listeners we also look at how Kickstarter has effected the gaming industry and muse over if the bubble will burst. I must admit, I did rather enjoy The Curse of the Black Pearl – Captain Jack running around the Caribbean drunk and sunburned was an entertaining film that refreshed the way we looked at pirates. Even if it was responsible for a million poor attempts at dreadlocks from Hallowe’en partygoers from then on. I think I must secretly be a Dwarf. At 175 cm tall, it’s hard to justify that statement, but I have a beard, I don’t mind being underground, I like large stone structures, I enjoy drinking ale and I listen to loud music. So, I’m going with it. This kinship I’ve just made up is going to be used to thinly explain why I find Dwarfs’ Fall from Vesuvius Media so appealing, at least the idea of it anyway. 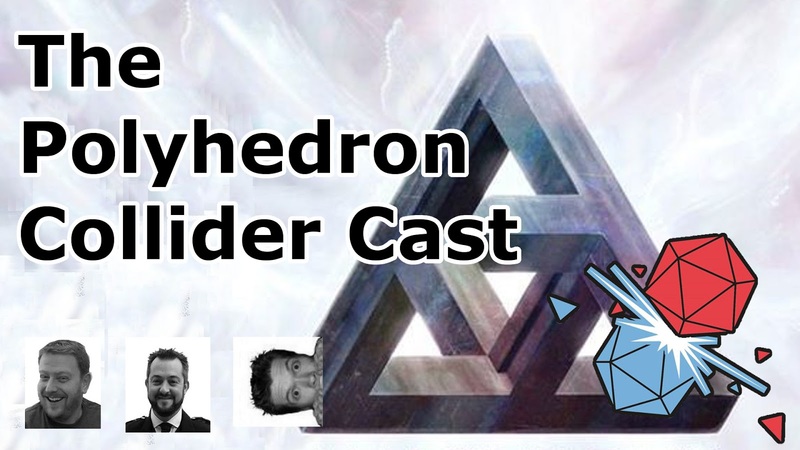 The Polyhedron Collider Crew return, with another slice of board gaming chat interspersed by rabbit holes and nonsense. 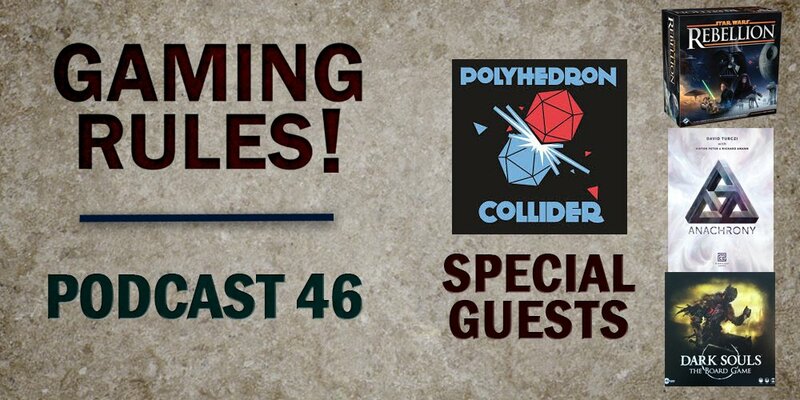 Steve and Jon venture out to battle the Gloom of Kilforth, all three members of the team love Dice Forge so much they keep getting distracted and Andy tell us the tales of Captain Cocktail and his intrepid crew in the Star Trek Adventures RPG from Modiphius. If you are a regular reader of polyhedroncollider.com or a regular listener to the Polyhedron Collider Cast you may have noticed a downturn in our output over the last few months. 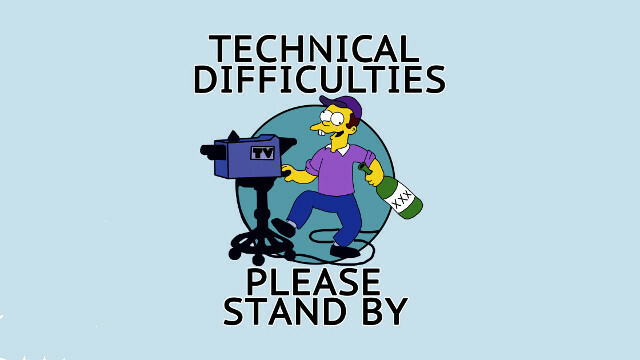 The good news is that we fully intend to continue with the podcast, albeit at a slower pace. The bad news, however, is that I am seriously considering either taking a hiatus from creating written reviews or maybe even stopping completely. Either way I think you deserve an explanation. I can firmly say that I am a massive fan of Stranger Things, the Netflix television series that mixed 80s movies, Dungeons & Dragons and a smidgeon of Cthulhu. What is there not to like? Which is why I was very excited about the new little game form Board&Dice, InBetween. For starters it’s Stranger Things the card game, and is certainly a lot better that that Eleven egg waffles nonsense that was recently announced. Secondly the game was designed by Adam Kwapiński, and although he may not yet be a household name, I think he is always one to watch. Monster Lands is a bit of a tease. Its cartoon artwork and cutesy graphic design are nothing but a honey trap, luring you in with the promise of a cute game for all the family but you will soon come to realise that Monster Lands is a meaty grown up game of resource placement and second guessing your opponent. However, even that veneer is misleading because behind Monster Land's euro game appearance is a game where the roll of a die can change everything. In Monster Lands you must hire a group of mighty warriors to defeat fearsome monsters and conquer lands in the quest for glory and reputation. I'm not going to try and explain every rule and mechanic for Monster Lands, because believe me when I say there is a lot going on in this board game. It’s time to get excited about Essen Spiel and so the boys try and keep it clean and family friendly. 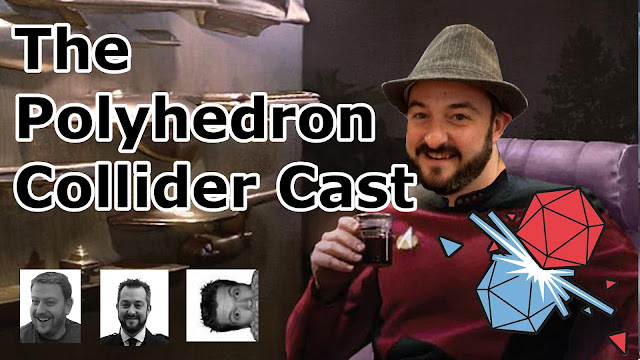 Unfortunately, a request for Polyhedron Collider to review adult products leads to a discussion of said products and things evolve into childish giggling. We do however get a chance to play ‘game of the year’ contender Clans of Caledonia, dice placement fantasy game Monster-Lands and talk about the Stranger Things inspired two-player card game Inbetween. 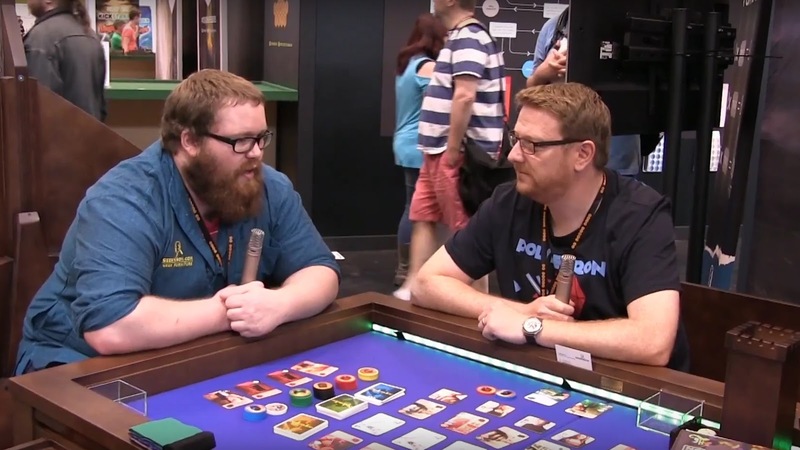 We also then take our pick of the most interesting games to play and buy at Essen. There are a lot of board games out there and, unfortunately, not all of them are good. 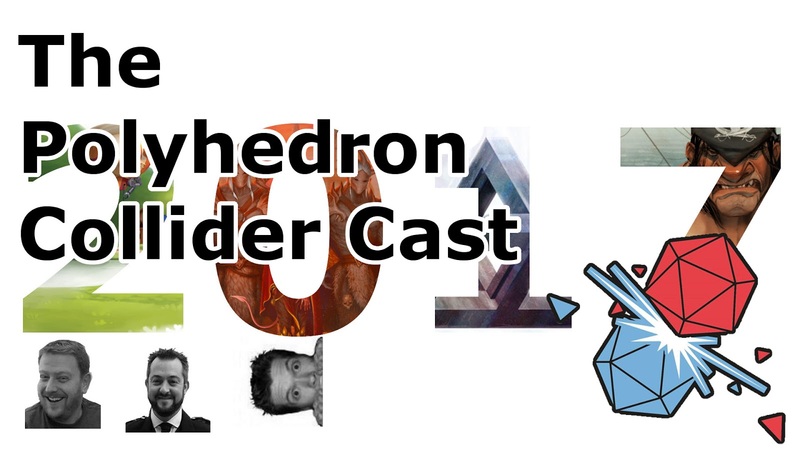 While we here at Polyhedron Collider try and write well-balanced reviews based on multiple play-throughs and with different groups, there are those game were doing is so torturous we end up alienating our friends and family. So we present the second part of our Review Roundup series, a set of short punchy reviews for games we are never going to play again. 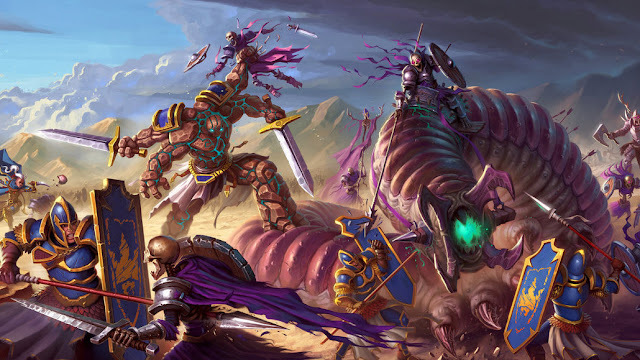 When reviewing miniatures games, one must consider the holy trinity of table top miniatures; the lore (or the fluff), the miniatures and the rules. Because a miniatures game isn’t as straightforward as a board game, not only do the rules need to be solid but you also need to have miniatures you want to paint and a background that wants you to fight. 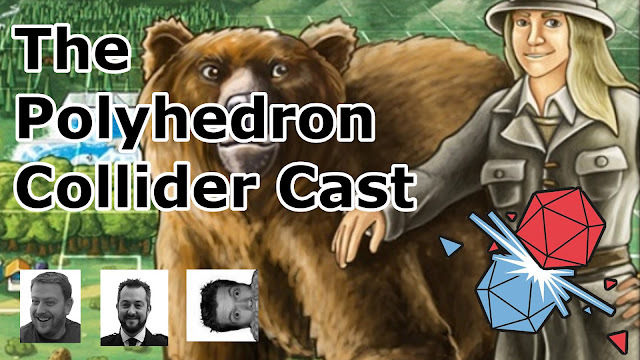 We mostly review board games here at Polyhedron Collider, where game mechanics and gameplay rule the roost, and plastic models and pages of backstory are merely stage dressing. But a miniatures game has to draw you in, it needs to make you want to play, want to paint and most of all, want to pay most of your salary on more tiny plastic men. How you rate your miniatures game is going to depend on which of these factors influences you the most. I certainly have friends who have bought entire game systems for the miniatures alone and Warhammer 40,000 has traded on the fan speculation of which Primarch would beat each other in a fight for some 20 odd years. 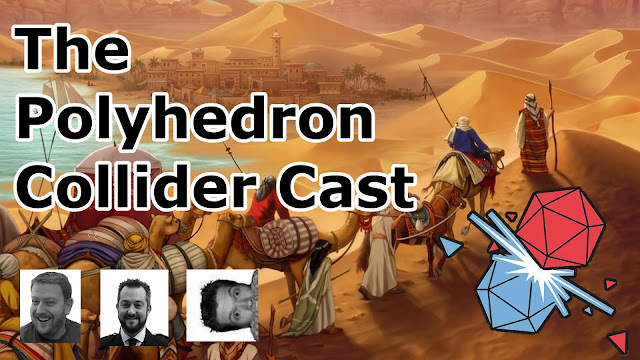 After summer holiday season the Polyhedron Collider schedule has taken a hit, so here we are two weeks late with a bumper podcast full of chat about board games, Gen Con, involute gear forms, and eating olives. 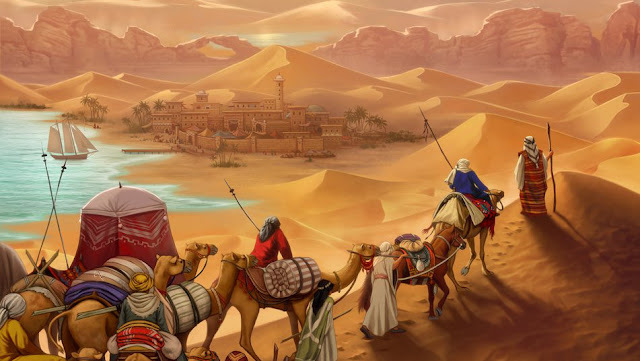 We take in depth looks at Anachrony, Tzolk’in and Labyrinth and provide a roundup of some of the games we have been sent to review that where rather bad. We also answer questions from the mail bag about blinging out our games, use of theme and which are our most significant games. Todd Medema from Expedition: The Roleplaying Card Game here. 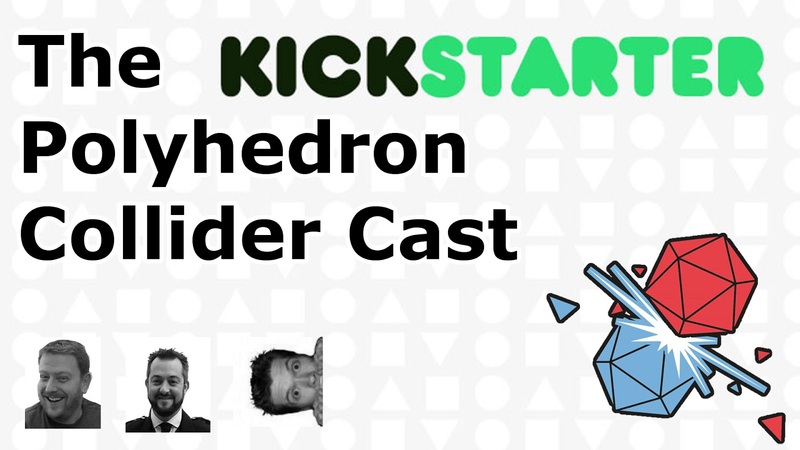 Polyhedron Collider was generous enough to review our first game’s Kickstarter launch, which doubled its goal. 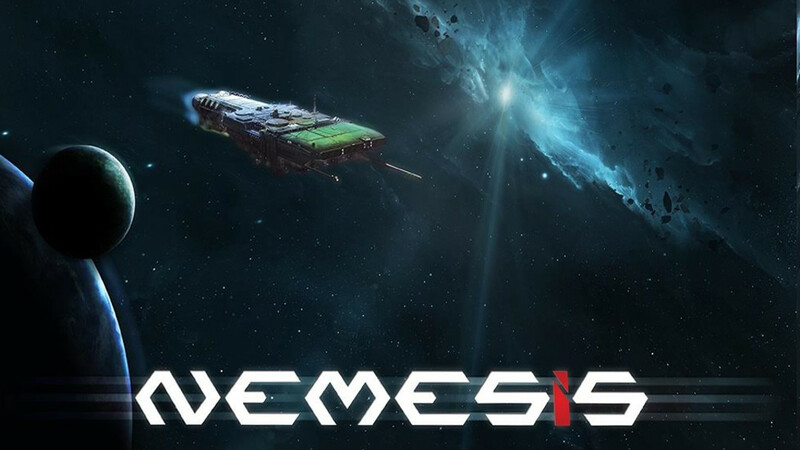 We wanted to return the favour by sharing some of the tips and techniques we learned from our campaign to make your next launch more successful! Over the years we have been sent a number of review copies of games that have slipped through the net. It’s an embarrassment, it's unprofessional, its ramshackle, but there is a reason these games have remained unreviewed, they have struggled to even get to the table. Some of them are boring, some are uninspiring and some are just plain bad but it's our duty as honest reviewers to tell you why we just don’t like this set of games. There’s a rumour circulating the industry about us reviewers, about how some don’t post negative reviews. I won’t get into that here as it’s up to the individual reviewers to create content as they choose. We at Polyhedron Collider, however, are certainly not above or below putting the boot in, especially me (Andy), as we firmly believe an honest opinion is far more useful to you, our vast and knowledgeable readership, so you can make a more informed judgement as to where you spend your hard-earned pennies (or not as the case may be). I have come to the realisation that the hallmark of a great game is one when you look at your options, mull over your choices and then let out a cry of exasperation. It is that moment when you realise that to pull off that game winning moving you really should have started your plan in motion three turns ago, or that you are simply one action or one resource short of pulling off a complete blinder. I say this because my time with Star Scrapper: Cave In has been embarrassingly short, to the point where I feel slightly dishonest in using the word review in the title, (not too I guilty mind you as an article titled first impressions never gets the traction it deserves) but I will say within my brief time with Star Scrapper Cave In there have been multiple cries of anguish, so surely it is a truly great game. It is said that the early bird catches the worm. However, I’m one of those weird folks who, whenever anyone mentions worms, I immediately think of the sandworms in Dune. Huge great things with mouths bigger than the Channel Tunnel and with more segments than a Terry’s Chocolate Orange. 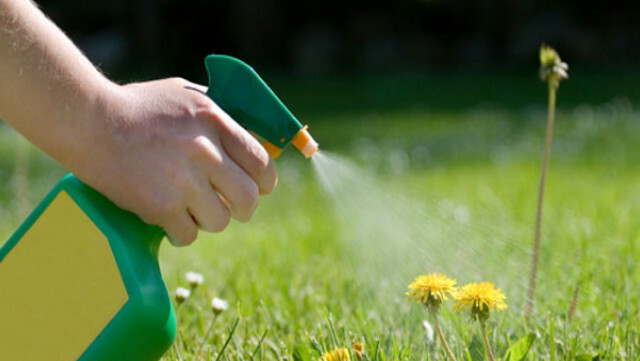 To catch these worms would take a very big bird indeed and we’re not talking Sesame Street here. For anyone familiar with Frank Herbert’s novel, I refer to the worms here due to the Spice Melange – a substance in the books that enabled long term space flight and which only grew on the planet Arrakis. The spices in the subject of this review are less potent and would barely allow you to make a tasty rice pudding, let alone navigate you across the galaxy. Anyone alive in the 90s who owned an Amiga will almost certainly have remembered the Sensible Software game “Cannon Fodder”. If you don’t remember the game, look it up. I’ll wait. I mention Cannon Fodder because it came with the tagline: “War has never been so much fun”. And it was right – Cannon Fodder was awesome and still stands as one of my favourite games of all time. Making those little men dance across the screen as you shot their twitching corpses was highly entertaining, if a little morbid. 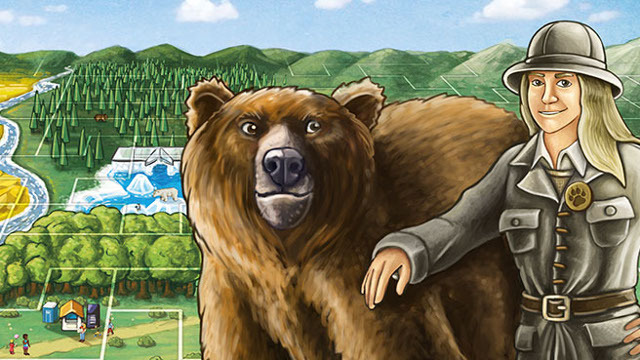 I will be perfectly honest, at first I passed on Bärenpark, a tile laying game where you build a zoo specifically for bears. I will admit that the theme didn't grab me and the mechanics looked a little too simplistic for my tastes and, worst of all, the cover artwork did nothing to inspire me. But I am happy to say that Bärenpark has proven me wrong because not only is it a fun and light game it's also got a surprising depth of strategy. 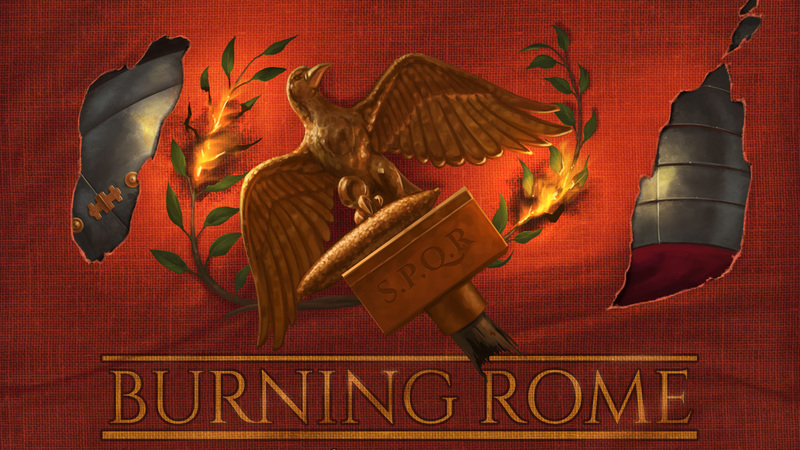 It is time yet again for a slice of tabletop gaming chat as the boys explore the latest miniatures game from Fantasy Flight Games Runewars, get all depressed by This War of Mine and explore the latest Kickstarters with our thoughts on Burning Rome and Star Scrappers Cave In. 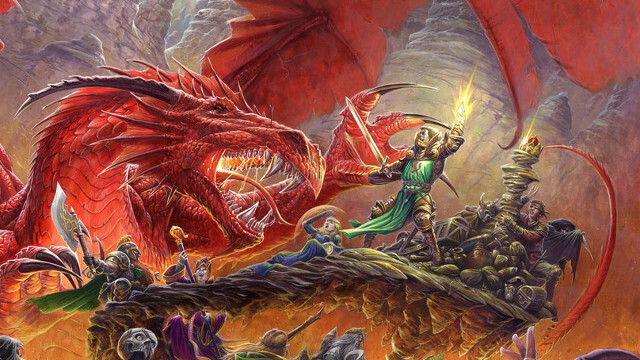 We also discuss the latest news about Talisman and organising a Dungeons and Dragons session. I grew up a stone’s throw from the city of Chester, famous for being an ancient Roman city and having some of them oldest city walls in the country. As such the sight of a man dressed as a Roman legionnaire touting entrance to the Deva museum (Deva being the Roman name for Chester) was a common sight. And because this was such a perfect opportunity for a school trip, I should be no stranger to Roman history, but all that I can remember is that the Romans used to eat dormice. 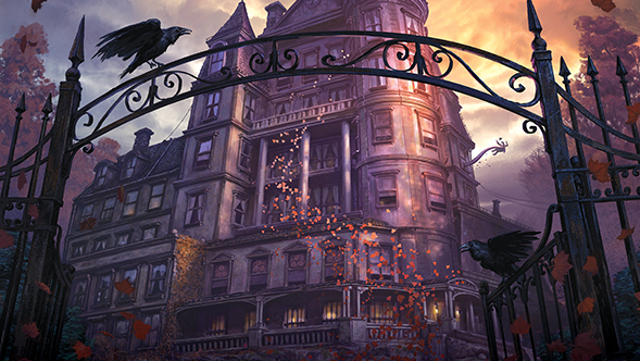 Reviewing games is largely a discussion of opinion. I can give you some objective facts about a game, but in the end the tone and final thoughts of such a written piece are going to rely on my experience of the game and nothing more. While it is true that some games can actually be bad, most games just have some features that mean they don't rise to the top of the quite staggering list of games available today. And then there are games like Brutal Kingdom, a game I don't like, but that I'm beginning to think it's not because it's a bad game, but because it is simply not a game for me. One of the many casualties of the recent split between Games Workshop and Fantasy Flight Games was the famous (or should that be infamous?) fantasy quest game of Talisman. 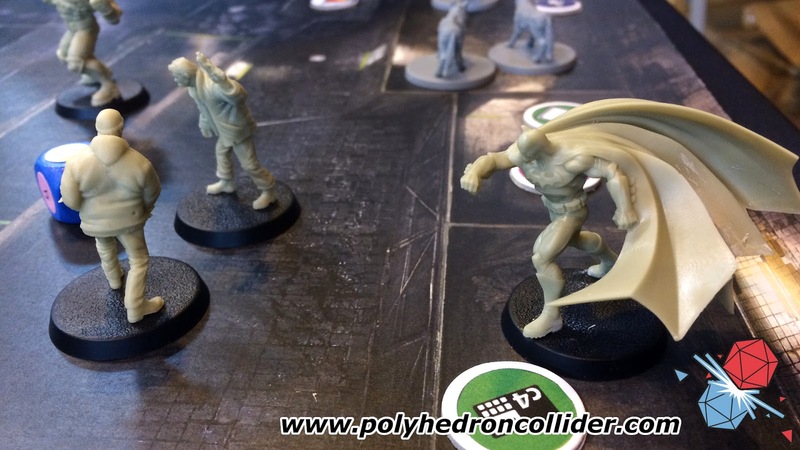 It has long been a staple of the tabletop gaming world and though many people will criticise its old fashioned mechanics there are no doubts that it remained a big seller throughout its life at Fantasy Flight Games. This week’s theme would appear to be the quicker lighter games in our collection. 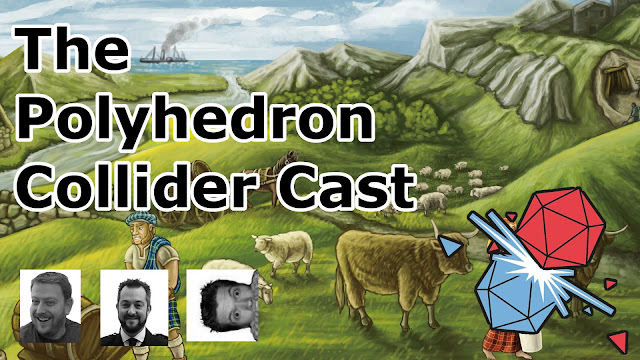 The boys all gush over A Game of Trains, play Isle of Skye while on the Isle of Skye and discuss the hot game of the moment Century Spice Road. 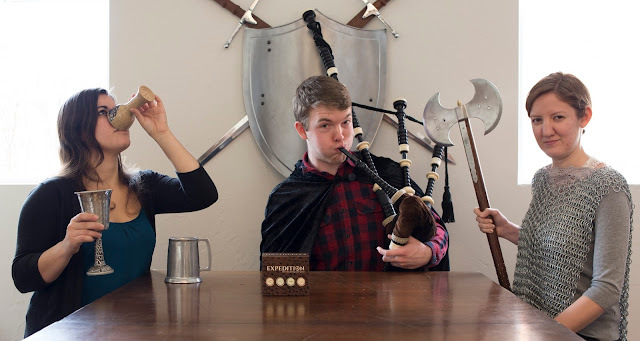 We also end up down rabbit holes within rabbit holes as we discuss kilt patterns, how to pronounce garam masala and wearing a Victorian cape to work. Jon is back! 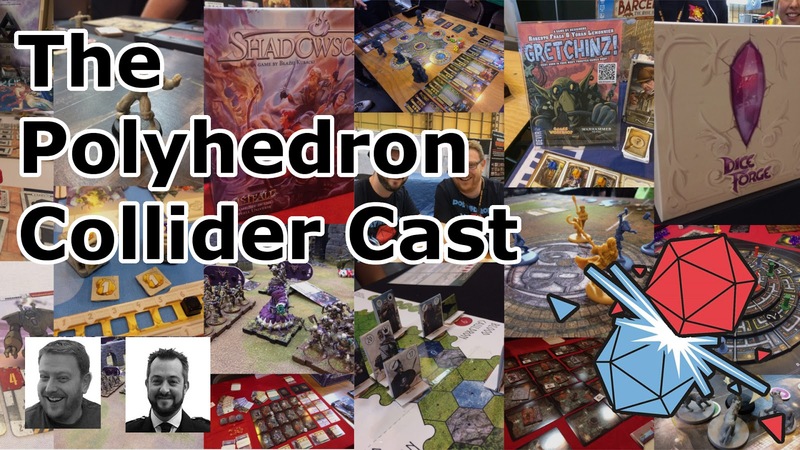 And so Steve and Andy regale him with some more exciting game we played at the UK Games Expo and talk about some 100% fresh board games and tabletop gaming Kickstarters. We build theme parks, we go to sea and raid as a Viking and then divvy out the spoils of war, go fishing and become estate agents and detectives. We also discuss drinking songs and how pasties are hotter than the core of the Sun. Sorry for the audio quality in this episode – we have had a myriad of problems throughout. Quite frankly there is part of me that wants to leave this preview as just one word and some photos, but that would be unprofessional of me (although professionalism does seem to always be out of Polyhedron Collider's grasp) so custom dictates I should annotate the pictures of the quite frankly gorgeous prototype minis with some explanation and musings. 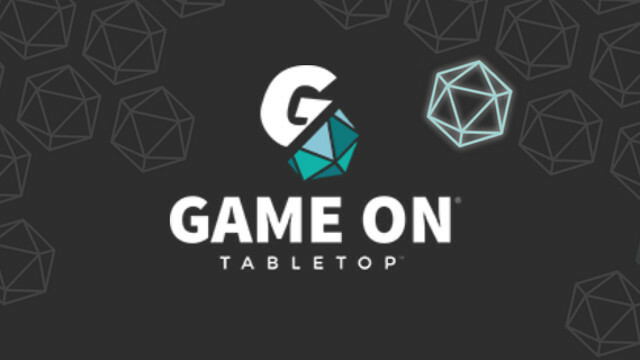 At the UK Games Expo 2017, I spoke to Laura from Game On Tabletop about the France based crowd-funding platform and how it is launching its first English language tabletop crowd-funding projects. If I was to simply say Dice Forge is Dominion but with dice, this will not only convey the whole gist of Dice Forge, but also everything that may get you excited or worried about Libellud's upcoming release. Asmodee and Esdevium were showing off a late prototype of the game at the UK Games Expo 2017 and I got myself a seat to grab a game, well actually my wife saw the game loved the artwork and quickly jumped at the two empty places to give Dice Forge a go. At the UK Games Expo 2017 Chris from Modiphius took us through all the new releases and upcoming releases including the Steven Spielberg 80’s movie inspired roleplaying game Tales from the Loop, the inside scoop on the upcoming Fallout Wasteland Warfare Miniatures Game and the huge box of goodies that is the Star Trek Adventures RPG. Suffering from the sleep deprivation that comes from the 3 days at the UK Games Expo, Andy and Steve try to download from their brain everything they saw at the UK Games Expo 2017. They failed, which is why this episode covers just half of the games we saw. We would like to thank everyone who was involved, we had a great time. At the UK Games Expo 2017 I got to commanded a Viking long boat as I chatted with the guys from Geeknson all about their magnificent wood! Anyone who has been on any form of board game social media may have noticed the new game from Awaken Realms involving loads of minis and some kind of cyber Greek mythology theme. 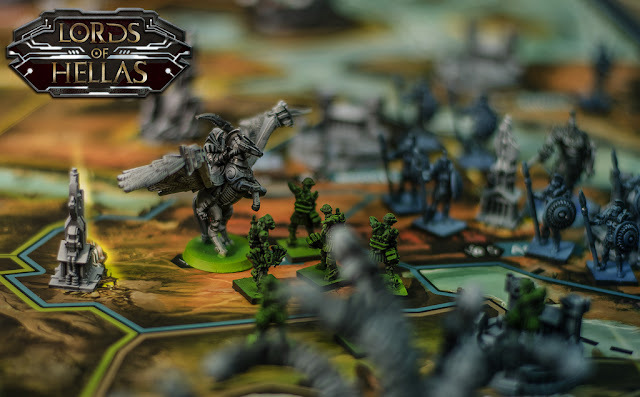 I must admit that although the minis caught my eye the first thought was "here we go, another game packed to the gills with moulded plastic and not a whiff of gameplay" and then I found out that Lords of Hellas is being designed by Adam Kwapiński and I got very interested. Steve and Andy guest on Paul Grogan's Gaming Rules podcast where we talk about Star Wars Rebellion, Dark Souls, Anachrony and of course the upcoming UK Games Expo. You’re in a room. It is dark. You’ve been eaten by a Grue. Ok, not that last bit, but two out of three isn’t bad. For those of you who may wear tinfoil hats and are obsessed with the impending dawn of war, then you may quite enjoy the subject of my latest peek-a-boo as it’s set in a bunker during a war. Whoever chose to build this bunker clearly hadn’t heard of basic requirements like medicine or lighting. Perhaps they were cut from the budget during construction. 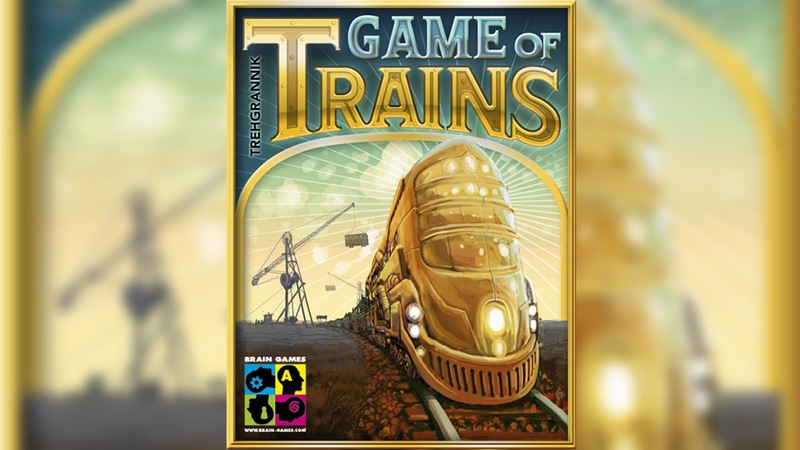 The more board games you play, the more you notice mechanics and concepts shared between various games. 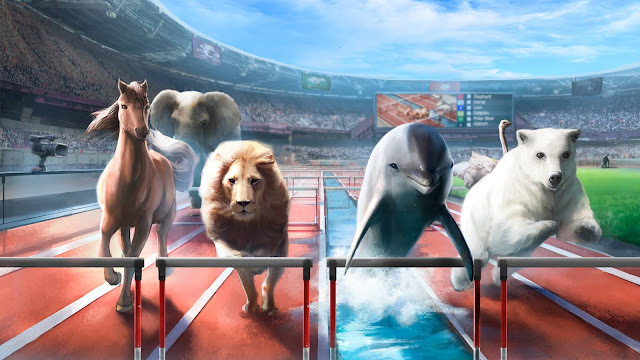 It’s actually one of those great things about learning to play a game, when you realise that there is a common DNA with another game, or a new game takes something familiar to you and mixes it up, using it in a way that you weren't expecting. Unfortunately this sometimes leads to games feeling very similar, or sharing so many mechanics that it’s hard to differentiate them. The UK Games Expo is the 2nd to 4th of June and it’s the biggest tabletop gaming convention in the UK. 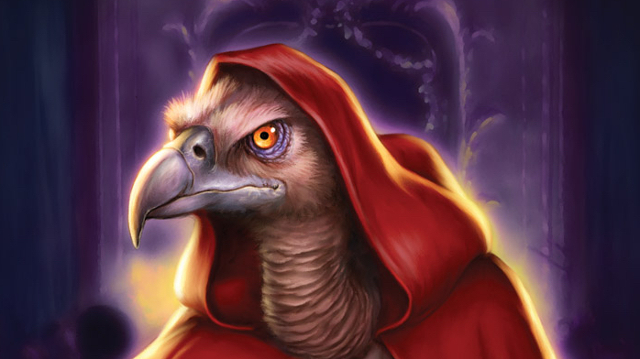 It will be three days full of board games, card games, miniatures and roleplaying games and we take a look at the games that have got us excited. 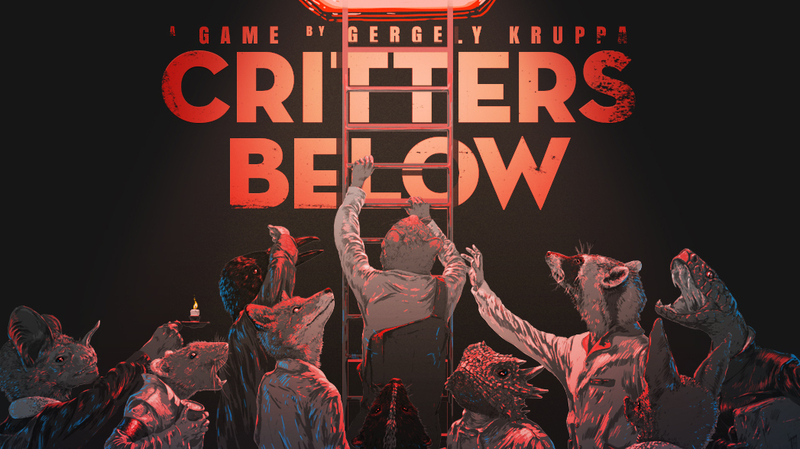 Dungeon crawling is a well-used trope in the board gaming world; grab a party of likeminded adventurers and head underground to grab some loot and kick the snot out of all manner of monsters. But what if I told you that gold and sparkling gems weren't the real treasure? What if you were a culture that used teeth as a currency? Well, all of a sudden venturing into dark subterranean deaths isn't about collecting shinies and honour, but instead becomes an attempt to recreate a Pantera album cover in as a many imaginative ways as possible. 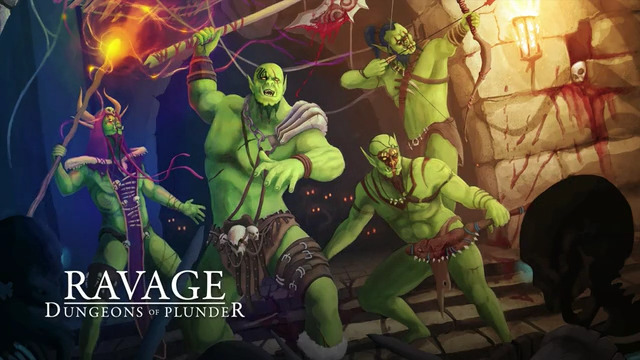 In many ways Ravage: Dungeons of Plunder is a typical dungeon crawler and in its basic premise I have to say that there isn't a huge amount of original ideas in the game. You'll venture into dark depths, kill monsters, grab loot, level up and hopefully last long enough to take on the story's goal. But Ravage puts a few interesting tweaks into the age old formula and wraps it up in a package of beautiful artwork and striking graphic design. You may have noticed a surge in the number or Escape Room style board games appearing over the last few months. Fresh on the heels of cooperative puzzle games like TIME Stories comes a whole range of one-time puzzles based on the escape room phenomenon that is gripping the world. If you are like me, and live at the arse end of nowheresville you will most likely not have had an opportunity to visit one of these experiences. Thankfully system like Unlock, Escape the Room and EXIT allow you to experience these cooperative puzzle sessions at home. We were lucky to receive a copy of EXIT The Secret Lab from Kosmos and so the opportunity of a bank holiday weekend meant I was able to lock ourselves into the dining room after a Sunday roast and see if the Tudor family was clever enough to escape a devious laboratory. Picture the scene: you’re at a large convention at a popular UK site and you see through the crowd a man wearing a metallic owl on his shoulder, together in Victorian getup and an extendable spyglass fixed to the side of his head. On the streets, this kind of behaviour would usually result in a swift recapture followed by a series of injections and perhaps a straightjacket. 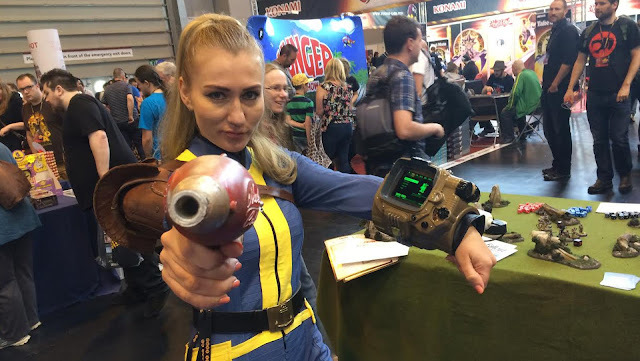 In the safe and womb-like environment of the UK Games Expo however, it’s worthy of perhaps a gently raised eyebrow before being distracted by another miniatures vendor. Unless you’re me of course, where Steampunk holds a particular fascination ever since I donned the light gem and began a career as a thief in the PC game… er… Thief. In a desperate effort to clear the decks before the UK Games Expo, the boys from Polyhedron Collider cast their eye over the latest batch of board games and tabletop Kickstarters. 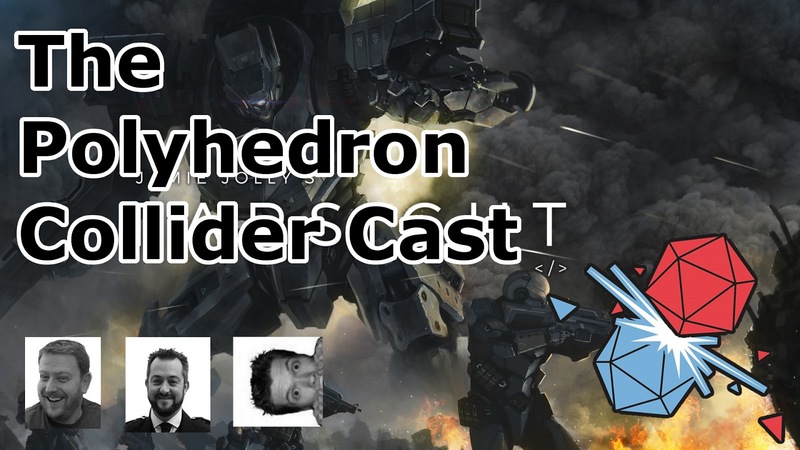 Steve faces the crushing difficulty and divisive gameplay of Dark Souls and then all three go to war with big mechs and sneaky spies in Farsight. 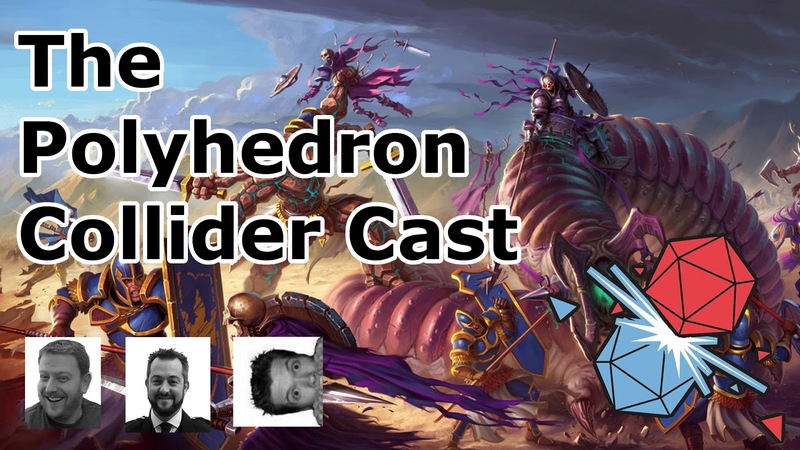 Andy is one with the weather as he moves like the wind in Petrichor before joining Steve on the dungeon crawling of Ravage: Dungeons of Plunder. 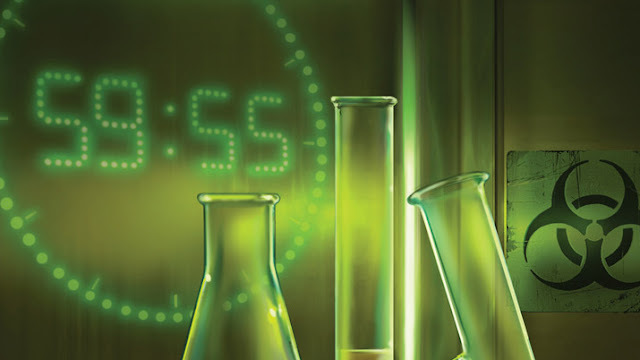 Finally Steve tries one of the latest Escape the Room games in Exit the Secret Lab.